Turkey, as a whole country, is a great deal for travelers with Canadian Dollars in their pockets. It's incredibly diverse and has so much to explore. Hence, we've added it to our Top 10 Value Destinations for Canadian Dollar Travelers for 2016. Don't wait! It is where Asia and Europe come together. Turkey is a mixture of both the East and the West - modern day influences mixed with old world charm, some say this is the clash of civilizations. With such famous cities as Troy, Constantinople (modern day Istanbul), and Ephesus, Turkey boasts numerous biblical, historical and magical sites for history and architecture buffs - underground cities, underwater ruins, preserved Roman cities, and supposedly the house of the Virgin Mary and the final resting ground of Noah's Ark. After all the history, try the Turkish food. Stop for some coffee and don’t forget the baklava or Turkish delight. 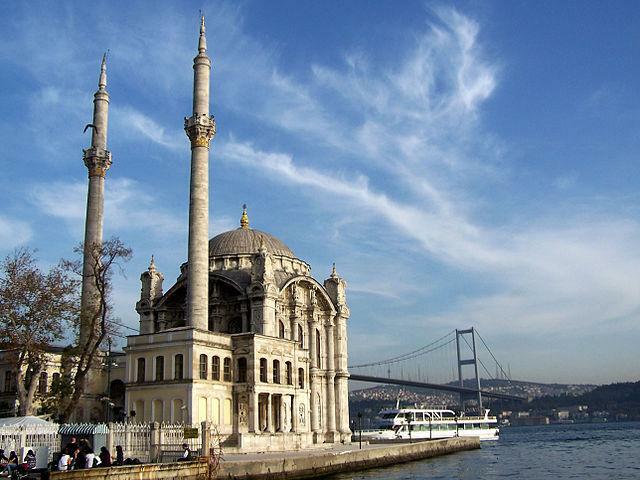 Istanbul is one of the most historic cities in the world and a great stop in between Europe and Asia. A must-see on many travelers' itineraries is Cappadoccia, and with good reason - a hot air balloon ride over these other-wordly rock formations is as memorable an experience as you'll have. Turkey isn't all mystique, however. With close proximity and cheap flights from Europe, tourists flock to the picturesque villages that sprinkle the Turquoise coast, a famous area on the Aegean Sea known for sun, clear water, and scenic harbors. In these coastal areas that are dripping with history, you will feel part of a large crowd of humanity. Read: First Timer's Guide to Avoiding Embarrassment at a Turkish Bath. In Istanbul, visit Hagia Sofia, the former Byzantine church which was turned into a mosque by the Ottomans and now it’s a museum. Also in Istanbul, the Mosque of Sultan Ahmet , or the famous Blue Mosque, is a symbol of the city recognized by everyone. It is a working mosque so mind your visit. Visit Topkapı Palace, the residence for the Ottoman sultans for nearly 400 years. Kariye Mosque in Istanbul is usually ignored by the tourists so it makes for a perfect off the beaten path visit. Also in Istanbul, walk the city walls, spanning for about 6.5 km. They represent the largest Byzantine structure still standing in the city. Visit the ancient site of Priene, located close to Kusadasi, and away from the usual tourist trail. In Hasankeyf, climb the hill to see the ruins of an early Arab town. Sagalossos is another ancient site which is off the tourist trail. It’s close to today’s Aglasun. Take a day trip from Bodrum to Rhodes in near-by Greece. Hike in Çoruh River Valley. Or go to Mount Ararat in Eastern Turkey and try those trails. If you are more adventurous and seek a path less taken, head to the eastern part of the country where tourists are few and far between. Read: Ten Experiences Not to Miss in Turkey. 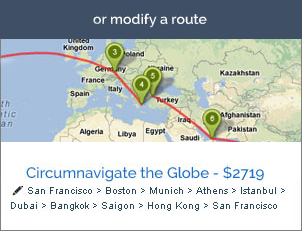 Because of its proximity to Western Europe and the ultra cheap beach vacations that are offered, airfare to Turkey can be quite reasonable. 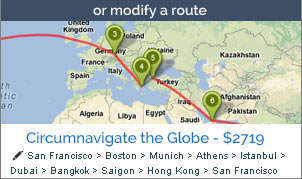 You could also fly to somewhere else in Europe and take a train to Istanbul to begin your journey. Read: Saturday Night in the Capital of the Turks: Ankara. There are also tons of cheap hotels in the country. So many, in fact, that you may find a better deal on a hotel than you will on a hostel.